A shakedown as Italian Baja! The idea came from Gianluca Marotta, president of the Italian Cross Country Commission of the local ACI Sport Association. "We do a shakedown in Valvasone so we give the opportunity to drivers and teams to try the vehicles a month before the start of the Italian Championship". 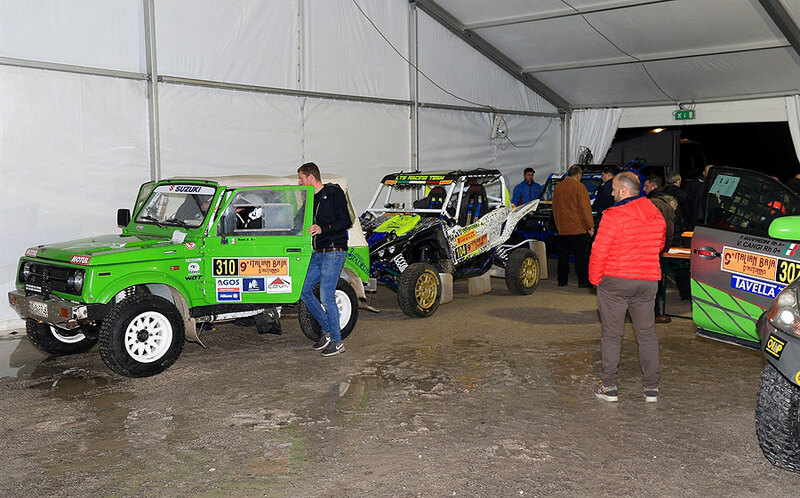 Light bulb and electric shock of enthusiasm for the Off-Road Club 4x4 Pordenone that has been activated immediately to make the initiative concrete. Two days of test: Saturday 24th of February (from 10:30 to 17:30) and Sunday 25 February (from 10:00 to 13:00) will take place at the "Valvadrom" (1.5 km north of the Delizias’ bridge, on the SP27) two days of testing in a circuit ring around 6 km. Everything is organized in detail, from technical checks and punching at the "Tavella Professional" to the Interporto of Pordenone, to the timing service that will also train new ranks of race marshals, to the medical and safety garrison on the track. The test includes official sessions of one hour reserved only for licensed ACI Sport and half-hour intervals as free sessions, in which vehicles can also be used by non-licensed drivers, but fireproof clothing and safety equipment must be those provided by the specific vehicle. A simple and direct way to involve possible new aspiring protagonists. But could "Italian Baja Boss and Legend" Mauro Tavella ever be surprised on the subject of news and surprises for off-road specialties? "Since we will have here in Pordenone almost all the pilots and teams of the championship - thought the general manager of Italian Baja, as well as vice president of the cross country commission - we do a seminar for insiders, involving the Federation, the organizers of the 6 rounds tricolors and permanent match officials." All information you can find on the official website (see link below) or via e-mail [ info(at)italianbaja.it ].